← Sold in 24 Days for $43,000 MORE! 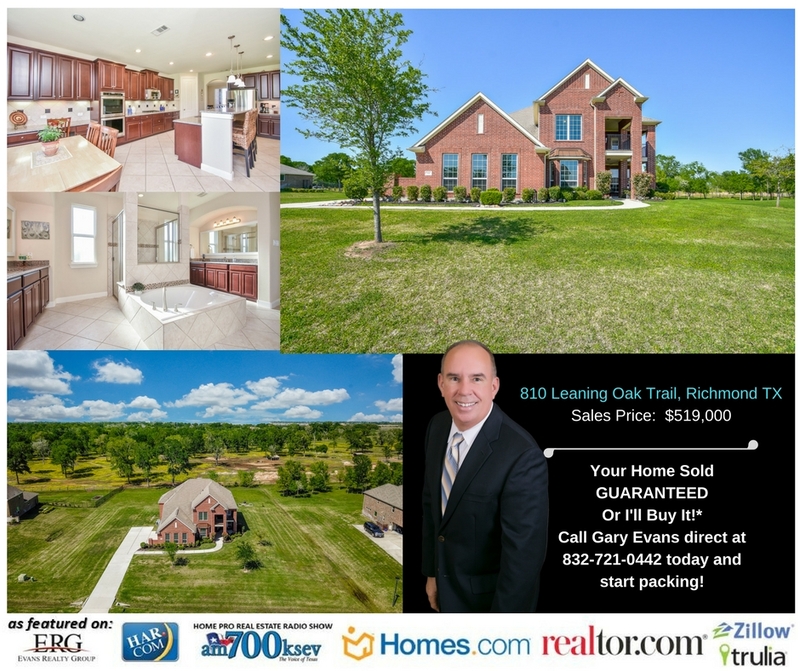 BUY THIS HOME AND I’LL BUY YOURS (*) AWESOME MERITAGE HOME in exclusive private gated community! MAJESTIC four bedroom three and a half bath home is situated at the end of a quiet cul-de-sac street on beautiful lot that is just over an acre! SPRAWLING ACRE LOT backs to an expansive pasture area with no back neighbors and unencumbered countryside view! GOURMET KITCHEN with 42” cabinets, granite counter tops, double oven! SOARING 20 foot ceilings in the Family room and Study with floor to ceiling back windows! MEDIA ROOM and adjacent game room is plumed for wet bar! SPECTACULAR VIEWS from the covered back patio and upstairs covered back balcony! LUXURIOUS MASTER BATH with oversize double walk in shower and large double granite counter top vanities! EVERYDAY OPEN HOUSE CALL FOR TIMES (*) certain conditions apply.